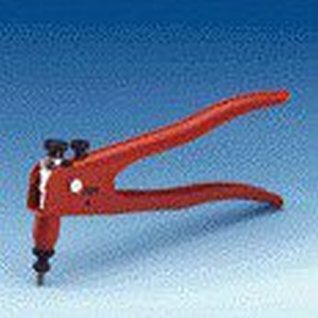 Hand plier suitable of setting rivet nuts up to M5 in all materials and M6 in aluminium and steel. Comes complete with all mandrels and nosepieces M3-M6 incl. in a plastic carry case. 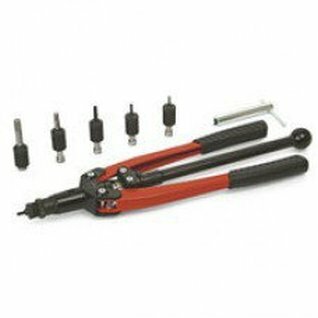 Long handle hand plier suitable of setting rivet nuts up to M6 in all materials and M8 in aluminium and steel. 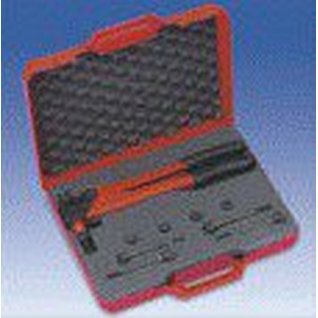 Comes complete in carry case with all mandrels and nosepieces M3-M8 incl. For easy setting of rivet nuts up to M10 in all materials. Complete with mandrels and nosepieces M3-M10 incl.